It's Valentine's Day all all across the world people are scrambling like chickens sans their heads to grab flowers, chocolate, and anything that might make their significant other feel special. How special? Well, more special than they felt yesterday lol, I suppose. 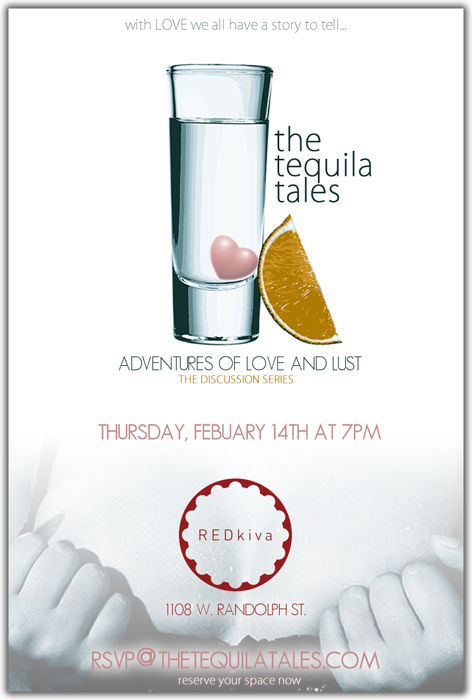 If you're looking for something outside the box to do today, The Tequila Tales presents Adventures of Love and Lust - - a monthly candid conversation about relationships. The topic for the night: Does SIZE matter? "Going beyond the obvious, how significant is “size” or quantity in a relationship? Is the size of man’s bank account important to a lasting union? Does the size of a woman’s ego affect her ability to attract and hold the love she desires? These questions and several others will be open and candidly discussed." The event will be held at Red Kiva in the West Loop and starts at 6p, with the discussion beginning at 7p. Admission is free - - just bring an open mind, good energy, and conversation! You can reserve your spot by sending an RSVP to RSVP@TheTequilaTales.com.